Hermitage Square the place to be this weekend! 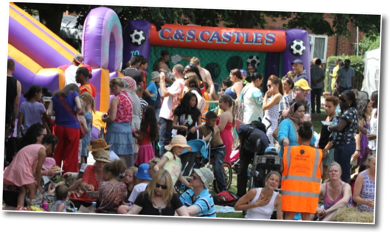 Hermitage Square is a special place at the heart of Sneinton, and on the weekend of 3rd and 4th of May it will be buzzing with TWO great free events! 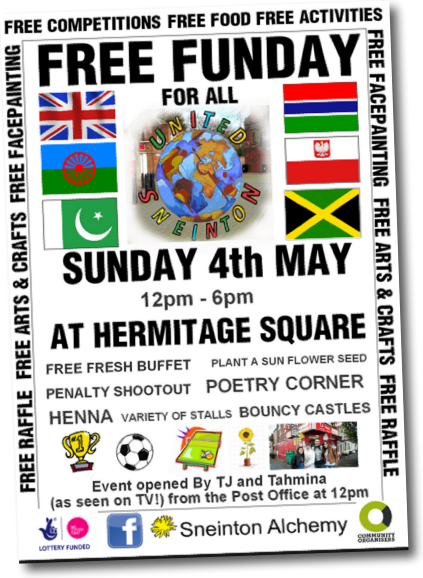 On Sunday 4th May the United Sneinton Family Fun Day comes to Hermitage Square. 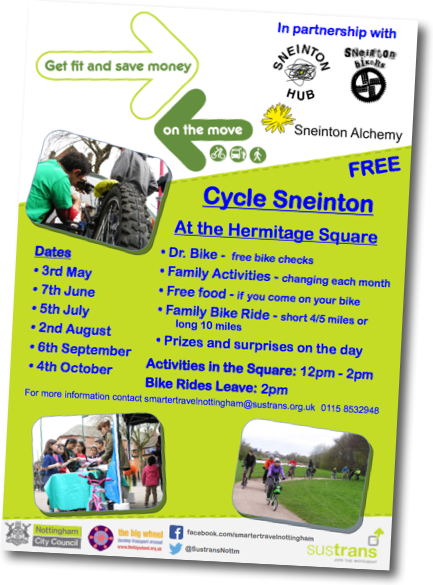 With a rolling programme of events from 12-6pm this promises to be a highlight of the year in Sneinton. A free bike check-up and tuning from Dr Bike, get your bike back on the road! Free food from the Sneinton Hub Cafe! Test your skillz with our chalk bike track! Decorate your bike crafts stall! Prizes and surprises on the day! 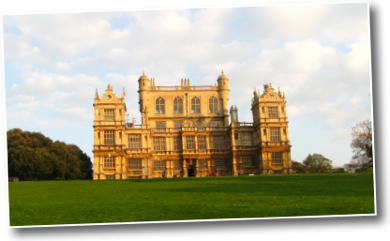 Guided family bike ride to Wollaton Hall (10 miles) or shorter ride to the Trent (4-5 miles) with a goody bag for those completing the ride! Enjoy your weekend on Hermitage Square!